In the summer of 2016, Robbie Brady had the world at his feet. 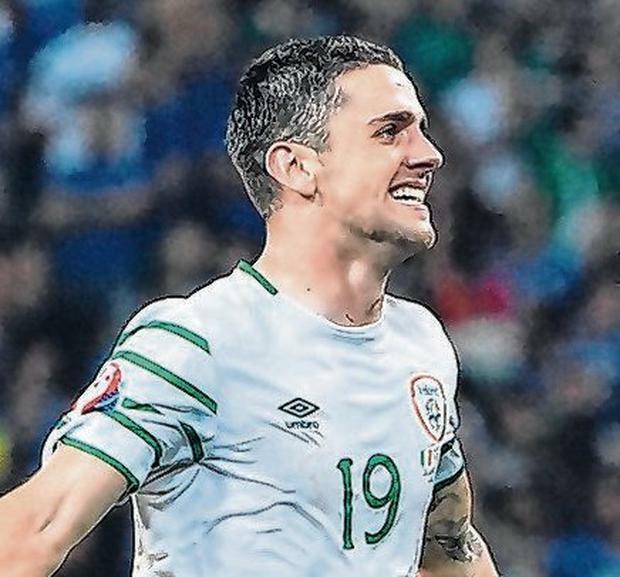 He was a national hero at 24 after his late header in Lille lit up Ireland's French summer. There was little doubt about his importance for the long haul. Back-to-back relegations with Hull and Norwich might have checked his club momentum, yet he was held in such high regard that he was always going to get another Premier League chance. 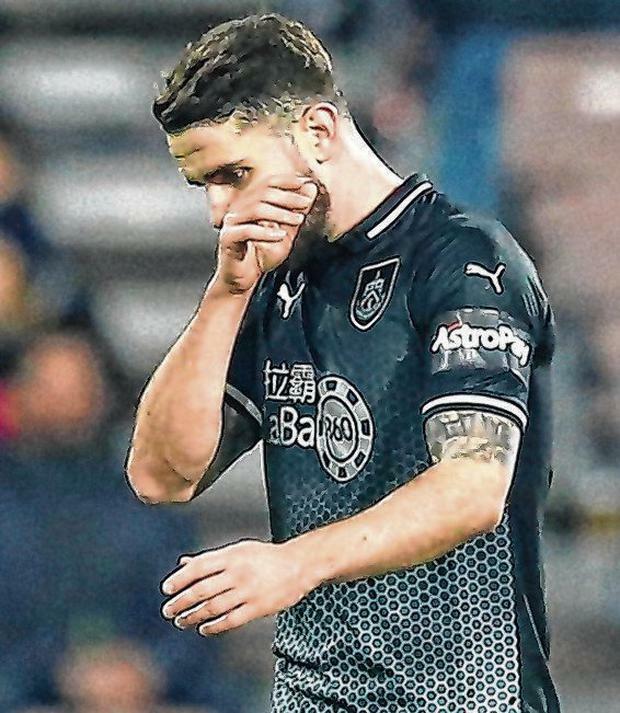 Burnley had to wait until the January to get the deal done, but all the elements were in place for the Dubliner to push on to the next phase of his career. Almost three years on, we're still waiting for that to happen. 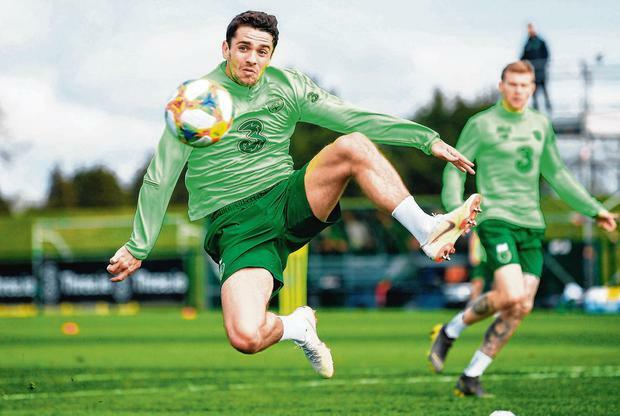 Much of discourse around the Irish Premier League season has focused on Matt Doherty's rise and a sticky patch for Seamus Coleman. The latter has faced questions about whether he has adequately recovered from a long-term injury. In reality, his difficulties pale in comparison to those of Brady, who has yet to start a Premier League game in 2019. Indeed, the only time Sean Dyche has selected him since Christmas was for the FA Cup tie away to Manchester City where he was withdrawn at half-time. Teenager Dwight McNeil is effectively keeping him out of the side. Jeff Hendrick hasn't been tearing up trees either, yet he arrives with plenty of minutes under his belt. Brady, Hendrick and Doherty were all born in January 1992 and, while the latter wasn't really mapped when it came to Euro 2016 discussion, his stock is arguably now higher. Burnley have work to do to preserve their top-flight status, and Dyche seems unconvinced about Brady's ability to instigate a turnaround in their fortunes. It has to be acknowledged that Brady's injury was quite significant, if not as high profile as Coleman's devastating leg break. A tear in his knee tendon turned out to be extremely complicated. It was a rupture that ended up keeping him out of the game for almost a year; the problem in the final months was spin-off problems with his hamstring and quad - partially borne from his eagerness to get back involved. Dyche pitched the £13m buy straight into his starting XI upon his return, an indication of how much the Clarets were looking forward to his October return. He was really beginning to hit his stride there when he suffered the injury the previous December, even if his Irish form in the World Cup campaign was middling at best. Alas, he's found it hard to get any momentum going since his comeback and a brief run of starts was ended by a brief setback towards the end of December. On January 2, he was sprung from the bench at Huddersfield and managed to pick up a straight red card that came with the punishment of a three-match suspension. Since then, he's become a peripheral figure during a period in which Burnley climbed up the table following an impressive run and then undid their good work with four defeats on the bounce coming into this break. This poses a problem for Mick McCarthy given that he has spoken about favouring players who are in form and involved regularly for their employers. Over the past couple of weeks, various pundits have put forward their thoughts on what the starting XI for Gibraltar might be and Brady tends to figure in every permutation. He's a player of such talent that it's hard to envisage Ireland benching him. But as he enters the prime of his career, it could be argued that the Irish perception of his ability is not reflected across the water. Versatility was one of his major assets under O'Neill. While there is a general agreement that he should be a part of McCarthy's team, arguments have been made for involving him as an attacking midfielder, a more conventional central player, a wide player on either flank or perhaps even as a left-back. This does not reflect how he's been deployed with Burnley, where all of his showings this term have essentially come on the left side of midfield. McCarthy addressed Brady's position earlier this week and indicated that his gut instinct was a wide role - with attacking his primary task. "I don't see him as a left-back," said McCarthy. "I think he could fill in there for me but, no, I see him on either side - left or right - to be honest." The 60-year-old said that he did seek out Brady when he reported for duty to enquire about his well-being. "I spoke to him about his fitness and he just said he had been quite a long time getting back but he says he is as fit as he has been in a long time at the moment, but he just can't get in the team. "That's up to Dychey. I think he (Dyche) makes them hard to beat, whether that changes after Saturday (defeat to 10-man Leicester) and he goes back and he plays, I don't know. "It's up to him to get in the team. He's fit though. He's fit and he is okay." Maybe the change of scenery is just what Brady requires. Lille was magic, but it's the 2020 Euros that should really be the peak of his career.